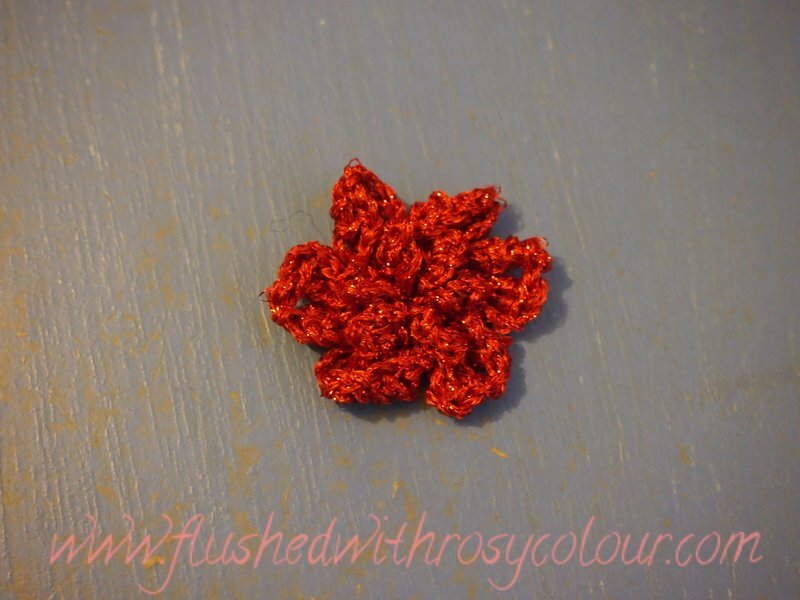 Here's the second Heather's Rose I've made, this time using some shiny red yarn and a 2mm hook. I pinched the inside petals to make them sit up more, and the bottom petals curl, so this is a 3D flower. 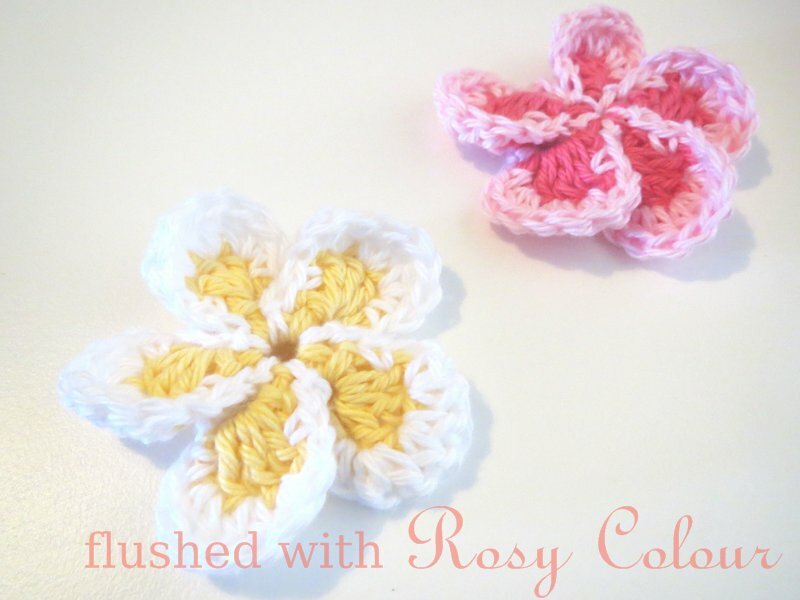 Next time I will make one of these in two colours.